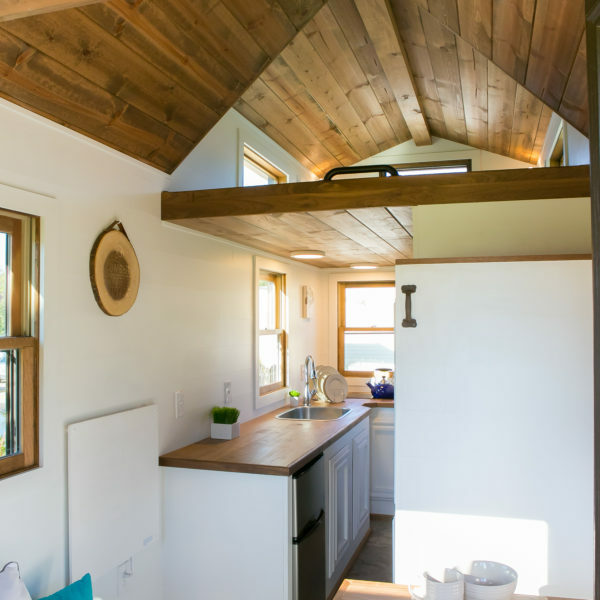 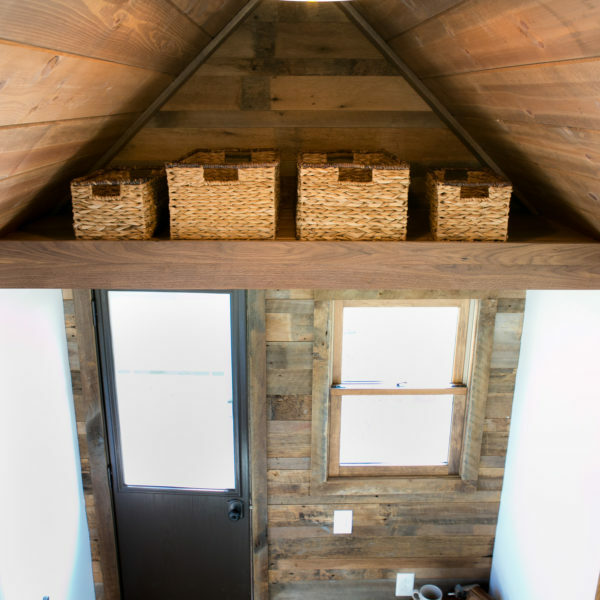 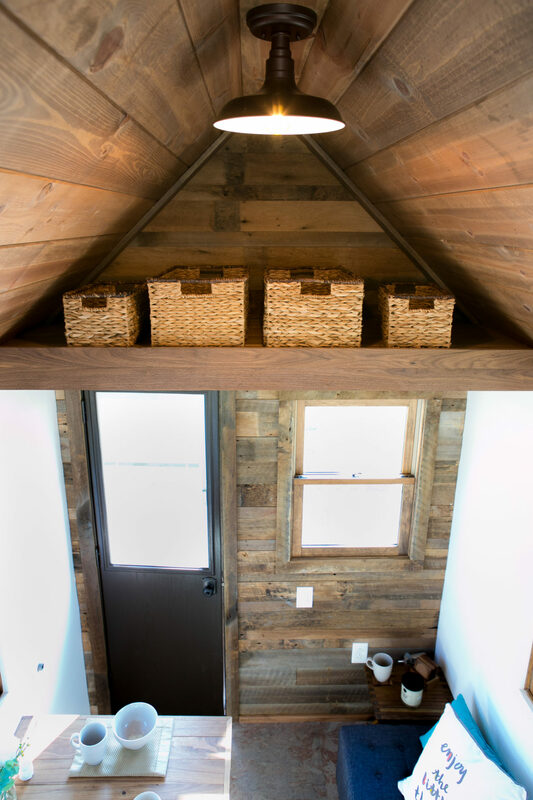 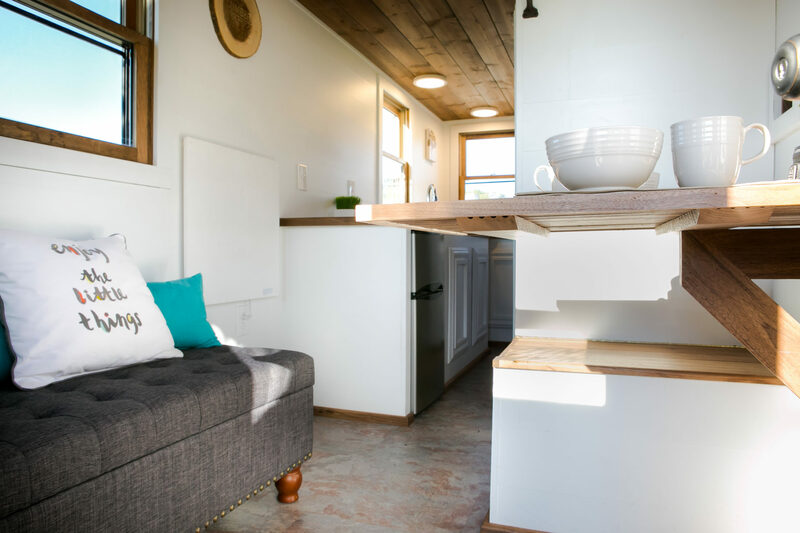 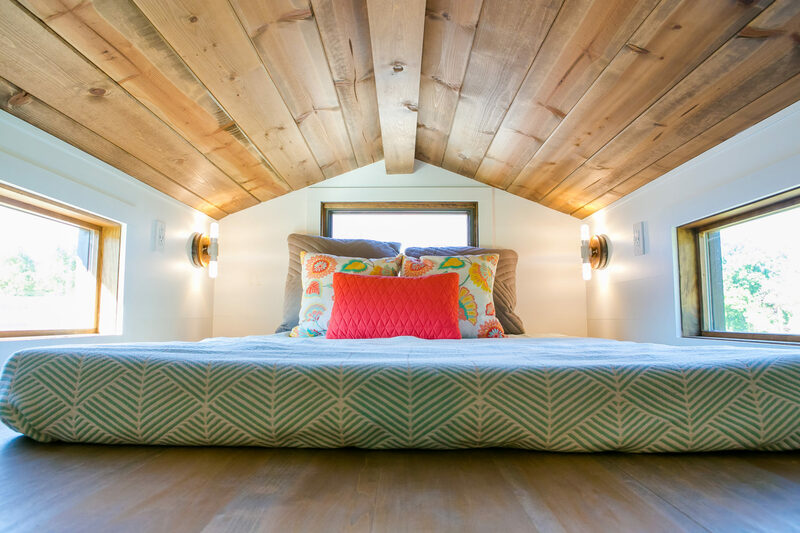 You’ll feel right at home as soon as you cross the threshold of this 154 square foot tiny home that includes a beautifully crafted and walnut stained vaulted ceiling. 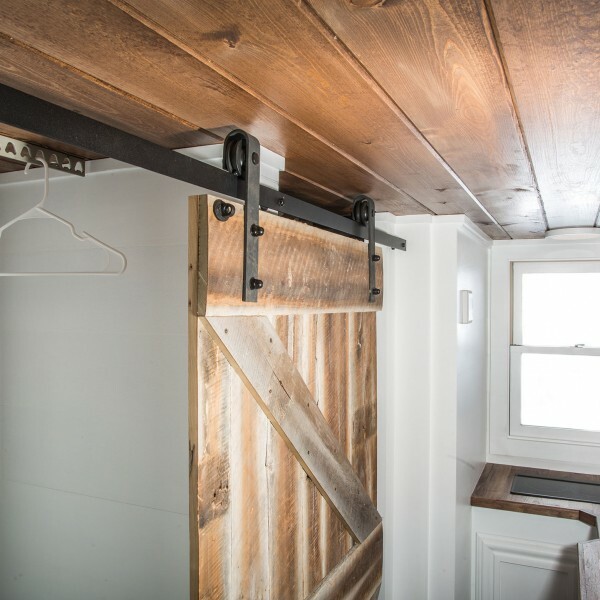 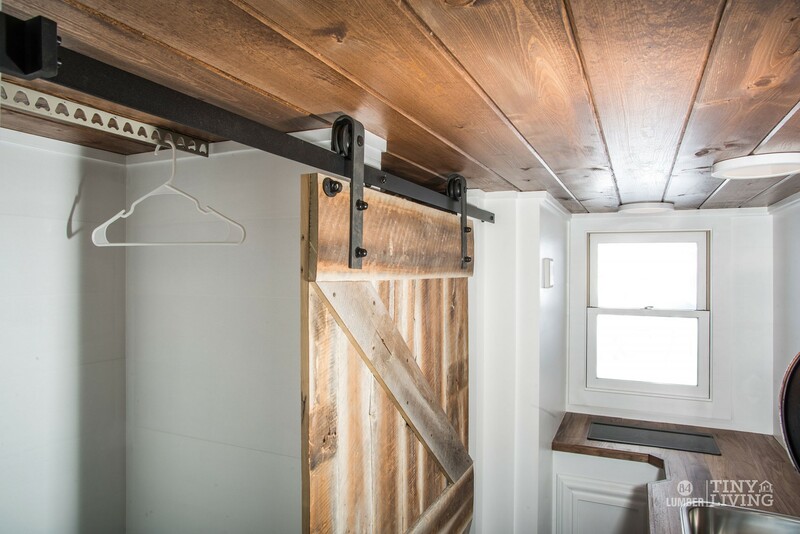 The Roving is highlighted with a reclaimed wood accent wall and custom designed barn door. 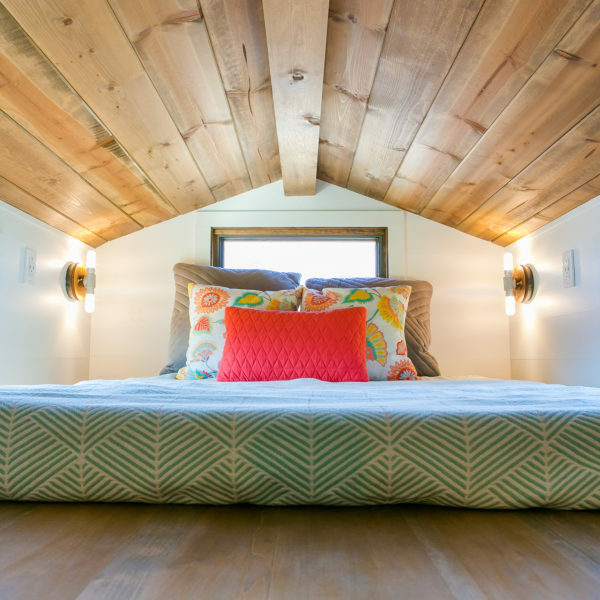 The upstairs loft bedroom features a full-sized bed, windows and lighting. 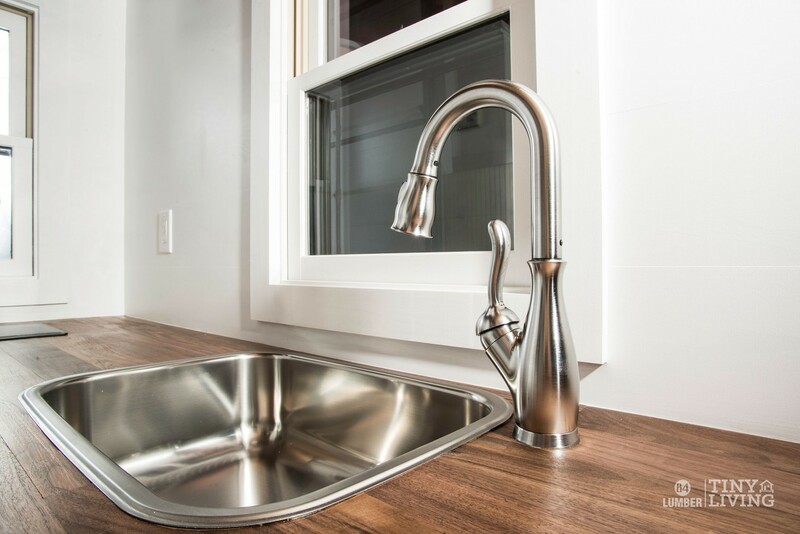 This home is ideal for the chef at heart with a kitchen featuring walnut butcher block tops, an Energy Star refrigerator, a stainless steel sink, a smooth surface electric cooktop, a designer faucet and a built-in kitchen table. 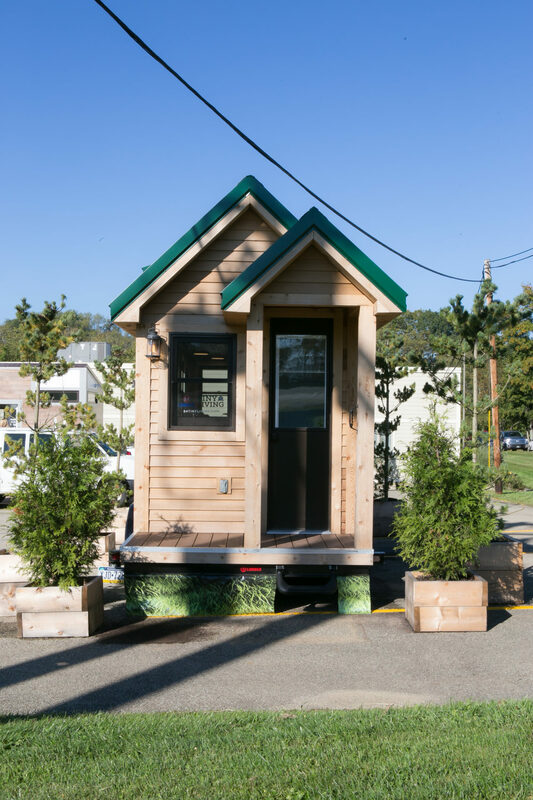 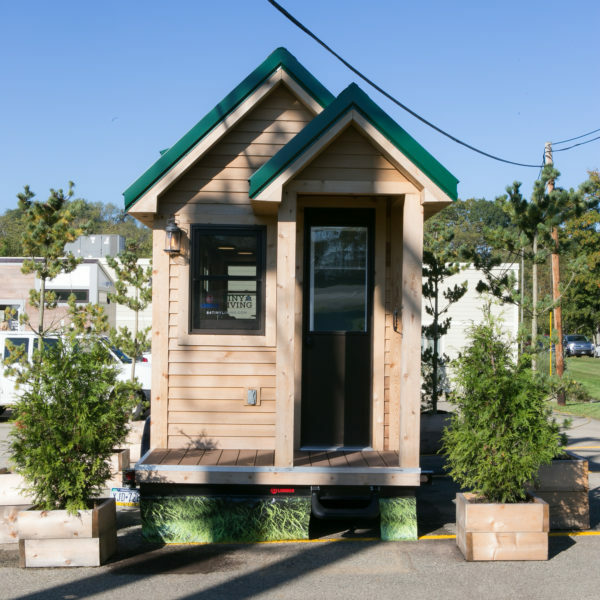 To help reduce your environmental footprint, this model contains cork flooring, energy saving LED lighting, and a composting toilet. 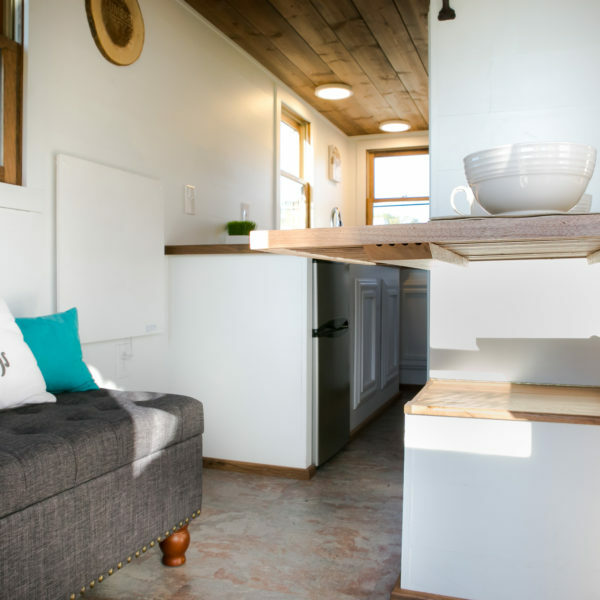 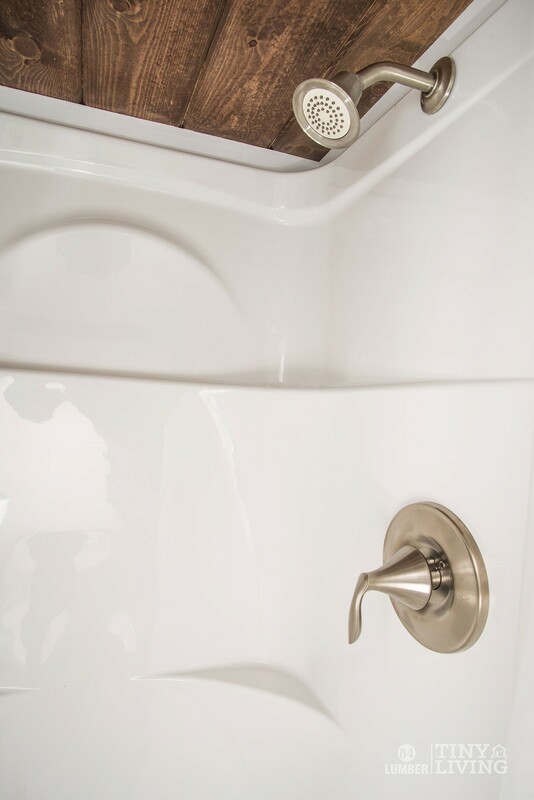 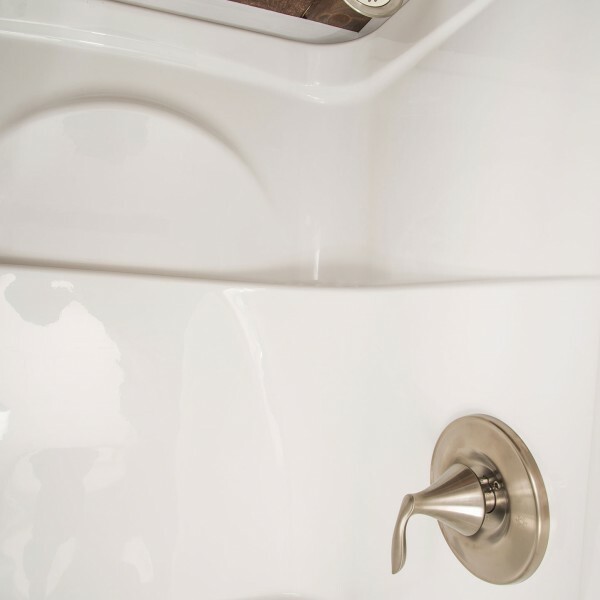 The Roving is move-in-ready and equipped with a smoke/CO detector, fire extinguisher, U/L approved devices and wiring, and numerous USB outlets. 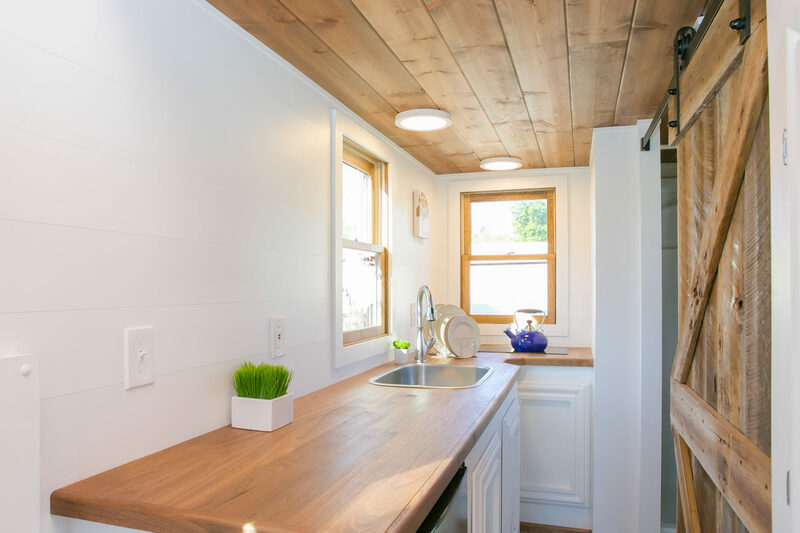 The Tiny Living by 84 Lumber Roving home features stunning cedar lap siding, low-E aluminum clad windows and a 26 ga metal roof. 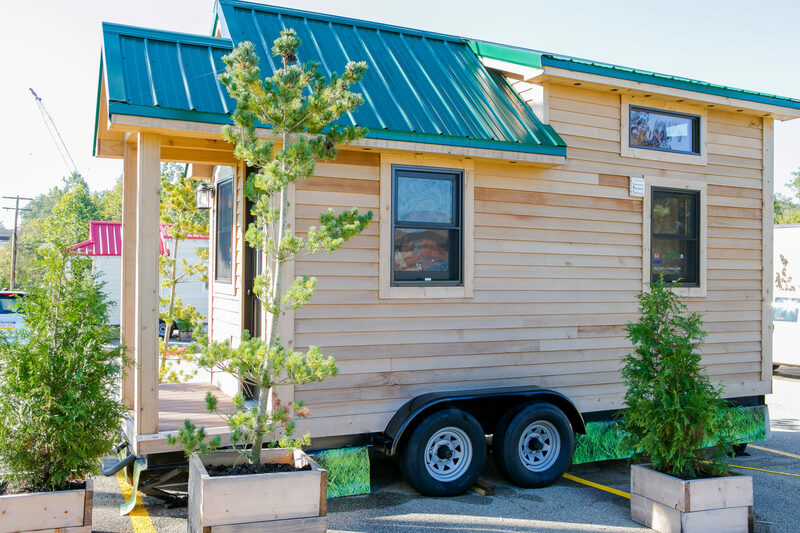 Transportation is a breeze: the Roving is outfitted on a custom steel trailer with steel floor joists, an aluminum rodent resistant underside, radial tires, safety brakes and (4) stabilizing jacks. 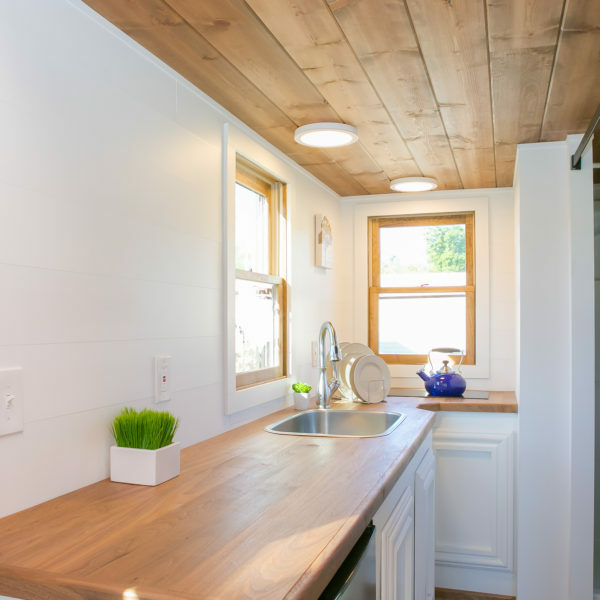 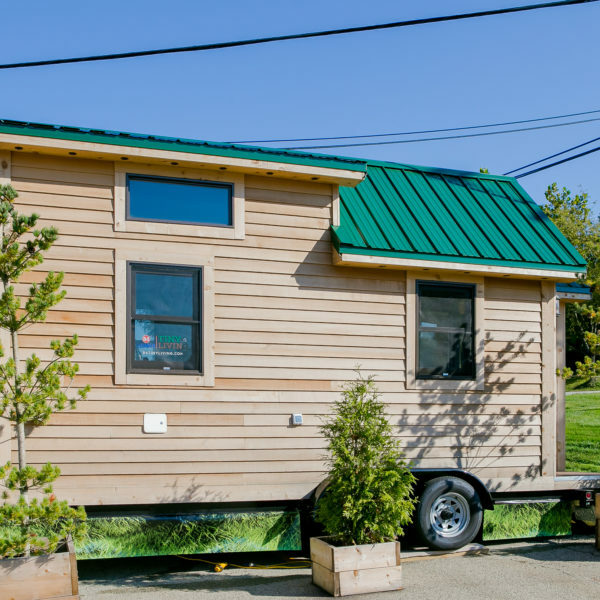 This tiny home is completely prepared to withstand all the elements with its fully insulated 2×4 wall framing, house wrap and window tape weatherization. 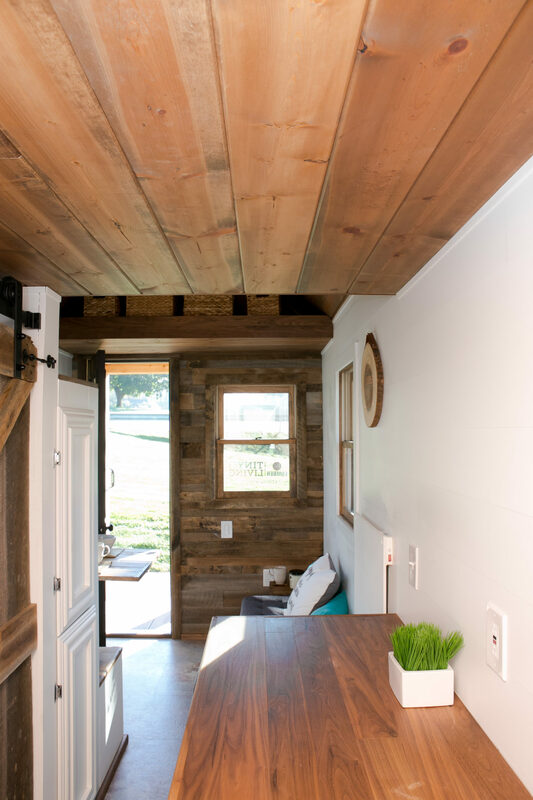 We hope you make this home your next home sweet (tiny) home. 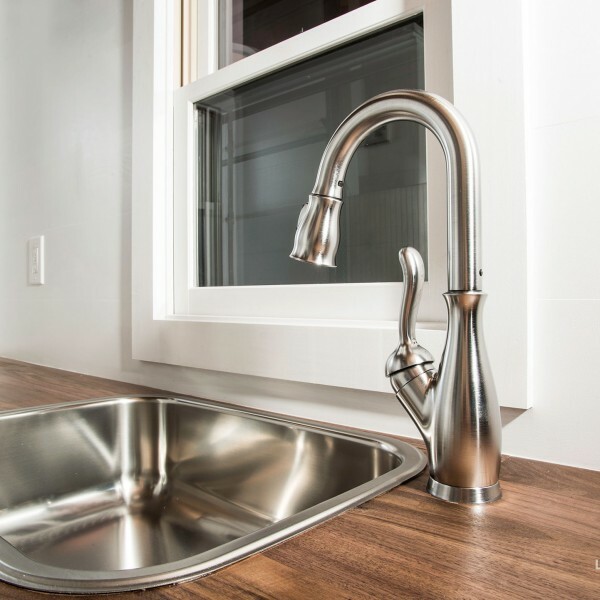 Using low VOC leads to improved air quality and reduces allergic reactions, headaches, asthma, etc. 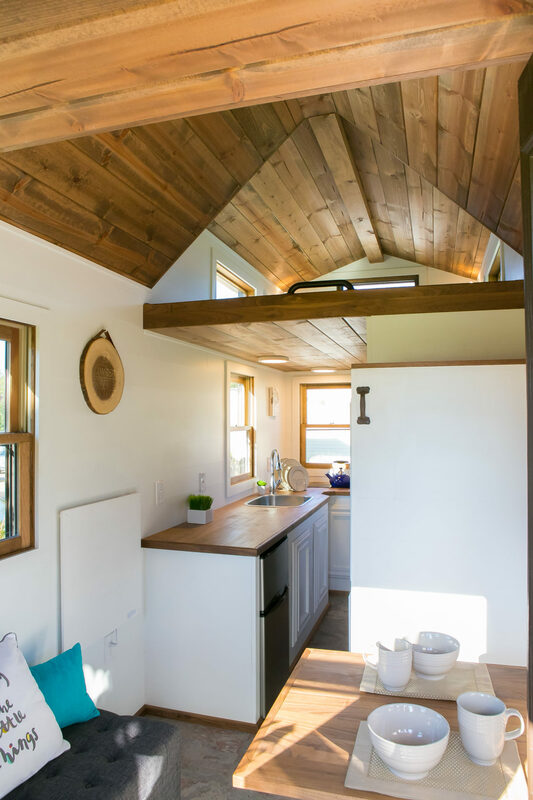 This DIY package for Tiny Living by 84 Lumber includes the architectural blueprints for one of the tiny home models, a materials list, and a trailer built to meet the requirements of the selected house. 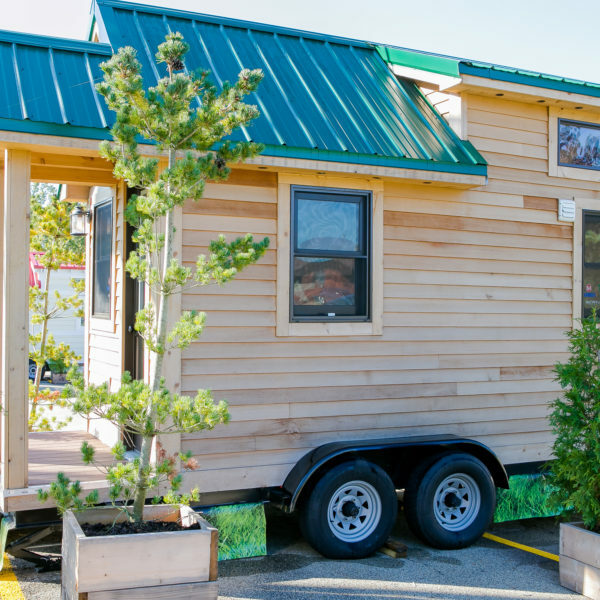 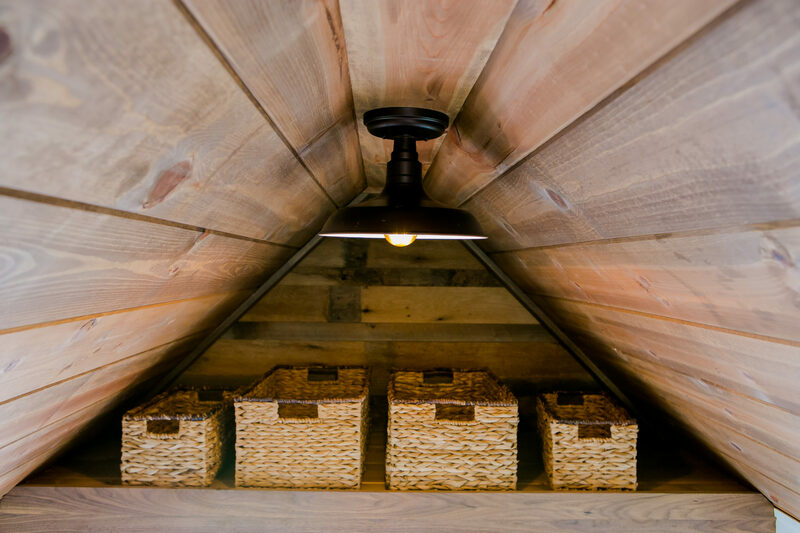 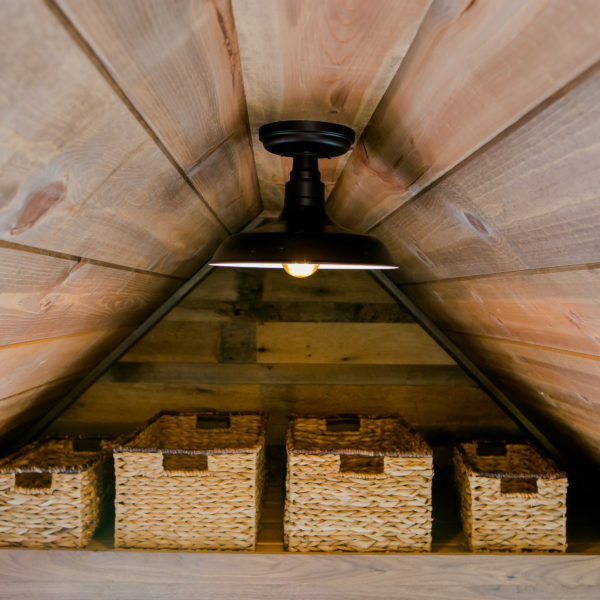 All materials on the list and essentials to build a tiny home can be purchased at a local 84 Lumber. 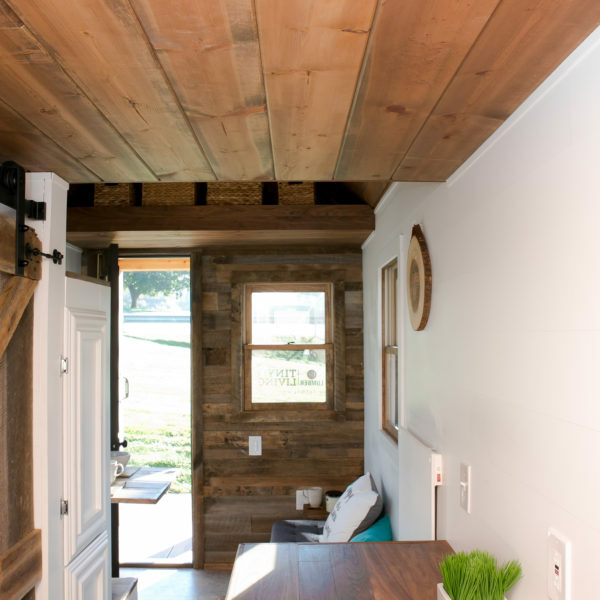 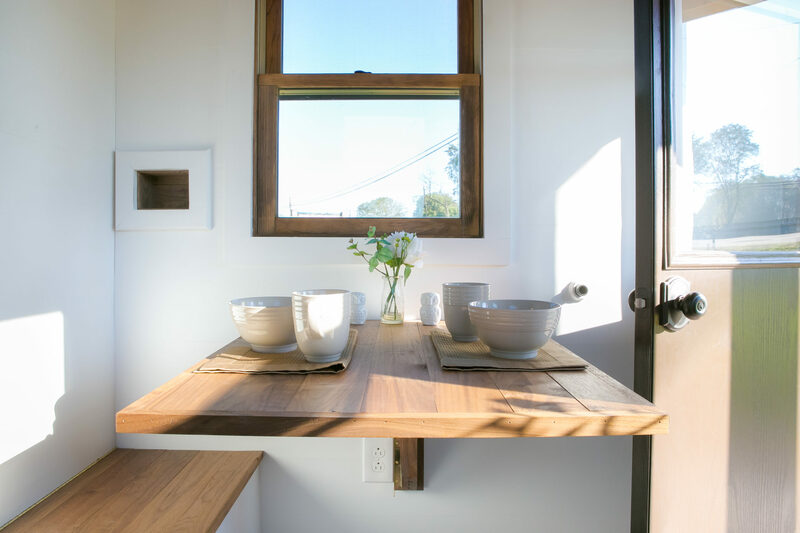 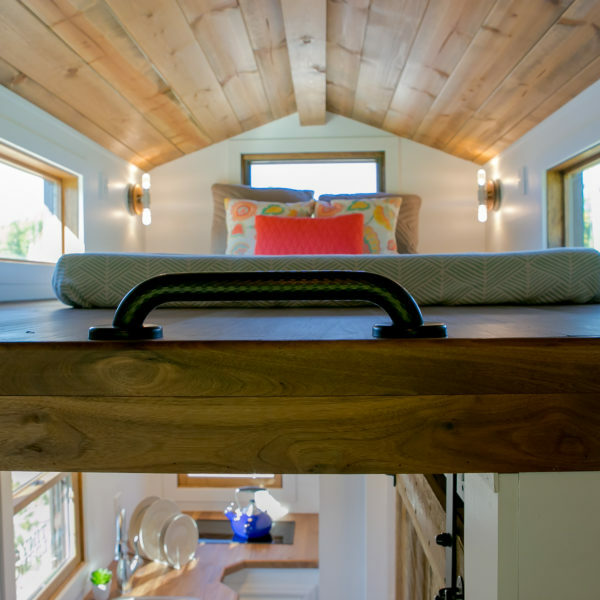 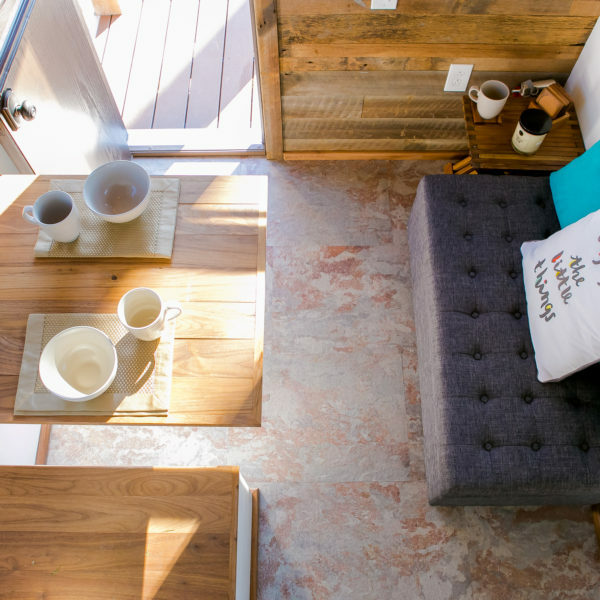 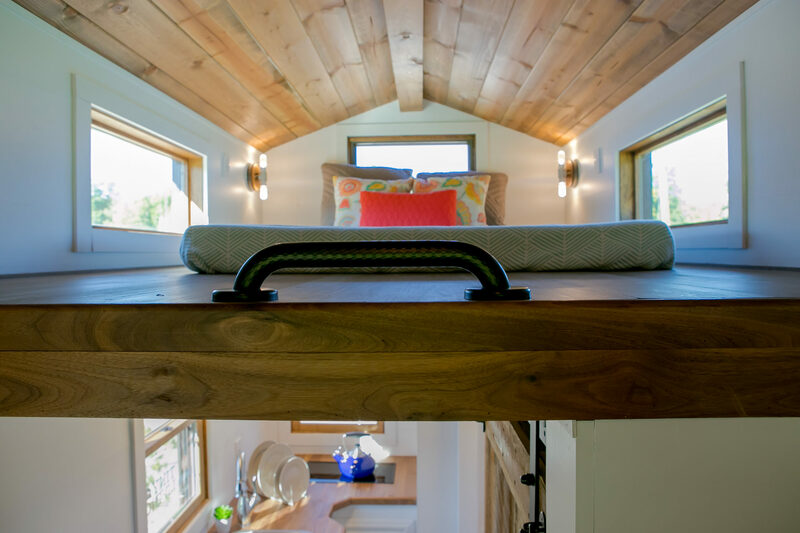 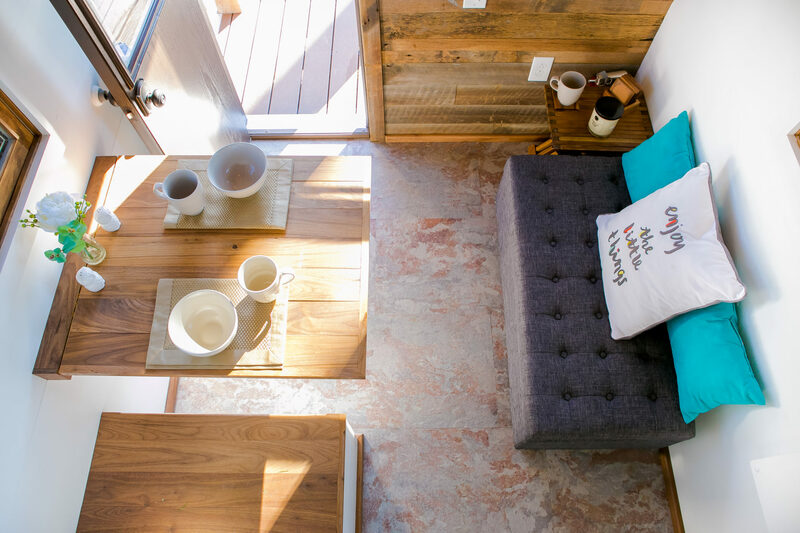 A completed tiny house that is fully outfitted both inside and out. 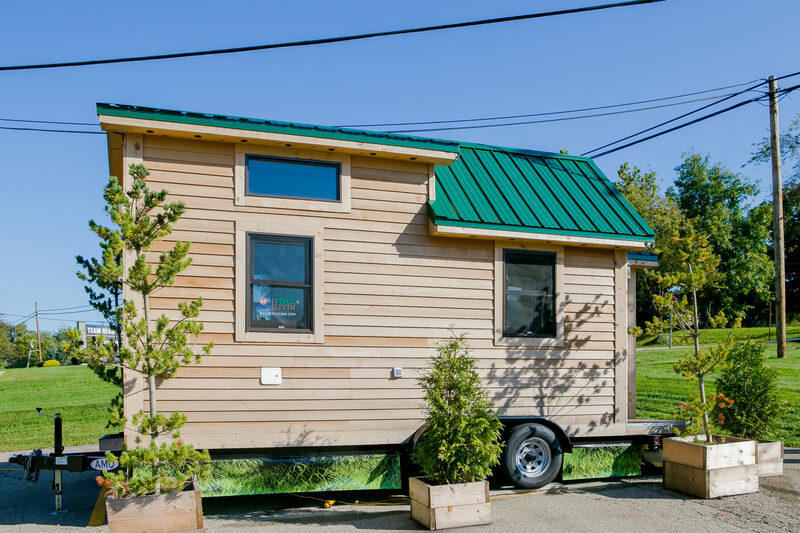 The home is built on a custom trailer and ready for move-in and immediate travel. 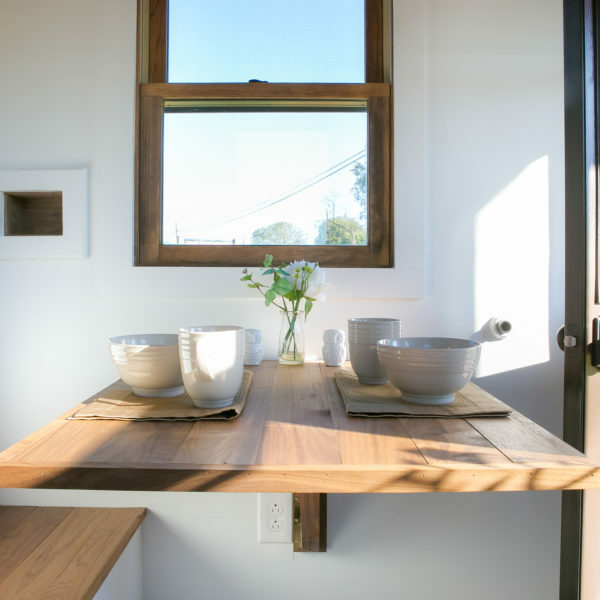 These homes take eight to ten weeks for custom completion.